Unusual conditions: what are gigantism and acromegaly? Gigantism is embedded in the folklore of many civilisations – think of the giant Goliath who fought with the legendary King David in the Bible, for instance. But it’s not all the stuff of legends. Present-day famous “giants” include André René Roussimoff, known as Andre the Giant (224cm), and Richard Kiel (218cm), otherwise known as Jaws in two James Bond movies. Another real-life giant was Robert Wadlow, also known as the Alton giant. He was the tallest man ever, standing at just over 272cm. Robert died in 1940 at the age of 22 after his foot became infected. Actor Richard Kiel played ‘Jaws’ in two James Bond films. 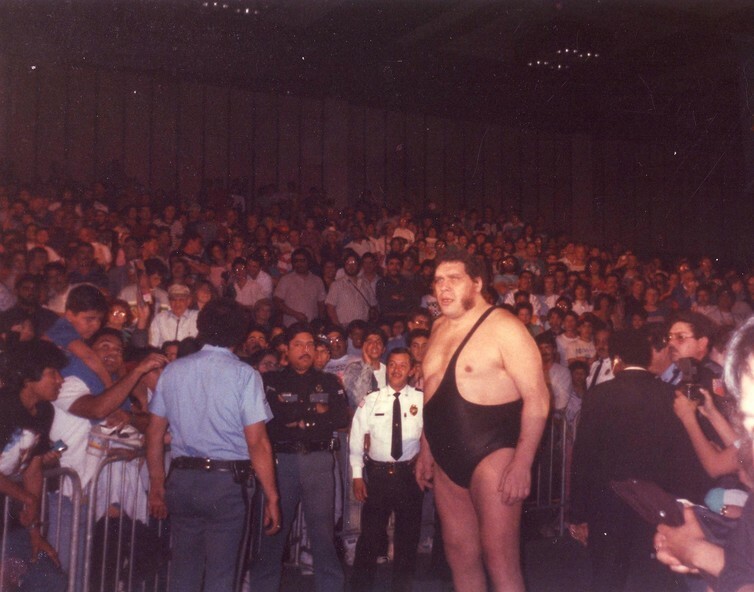 Gigantism and its counterpart, acromegaly, are rare conditions caused by excessive production of growth hormone (GH), which stimulates the growth of the skeleton and all the tissues in the body. Gigantism develops when a child experiences accelerated growth due to excessive GH production, which eventually leads to their tall stature. Acromegaly is what the condition is called when excessive GH production develops in an adult after he or she has reached their final height. It comes from the Greek words akron (extremity) and megas (big). Continued stimulation of tissue growth causes large hands and feet, nose, jaw and forehead, which are the most noticeable features. Acromegaly affects around 60 people per million. There are an estimated 1,200 people living with the condition in Australia. Growth hormone is produced by the pituitary gland, at the base of the brain. The gland produces several hormones that control growth, metabolism, development, and reproduction. 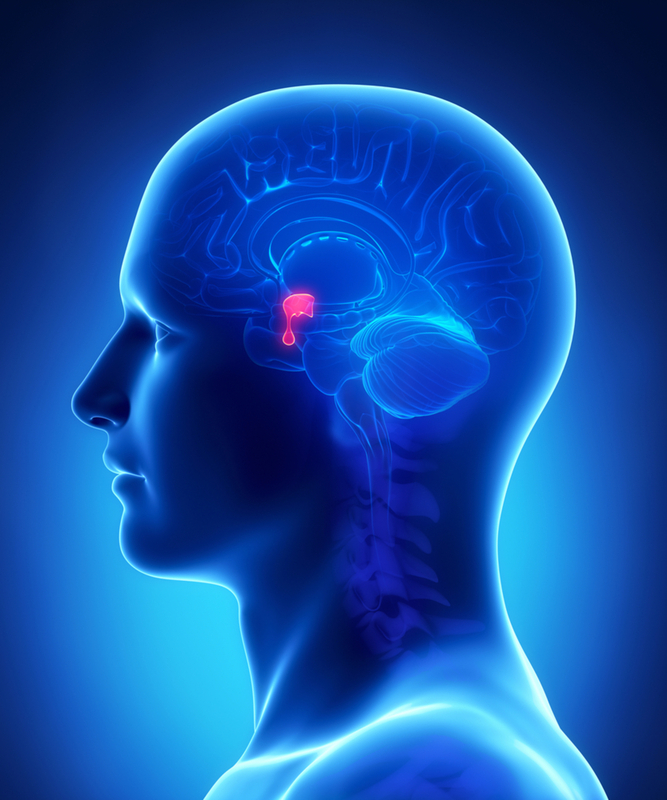 A tumour in the pituitary gland can secrete uncontrolled amounts of any of its hormones. Pituitary tumours are benign, can vary in size and develop at any time through life. Their effects on health depend on the hormone type and amount secreted. In the case of acromegaly, too much GH is produced. If the tumour is large, it may cause headaches and can compress the nerves to the eyes, impairing vision. The cause of tumour formation is not well understood, but evidence points to gene mutations that control cell growth and hormone secretion. In contrast to the marked tall stature that characterises the childhood onset of the disease, manifestations in adults are different. Symptoms of acromegaly develop gradually from slow growth of soft tissue, organs and bones. It can take more than ten years from when the first symptoms develop to diagnosis. Patients may be unaware of the progressive enlargement of their hands and feet, although specific questioning usually elicits a history of ring- and shoe-size increase. Daytime sleeping, fatigue and poor concentration are common from sleep disruption caused by an enlarged tongue that blocks breathing during sleep. The enlarged tongue also causes heavy snoring, drooling, and difficulties with speech and chewing. Carpal tunnel syndrome can also develop due to compression of a major nerve tissue growing at the base of the hand. The tumour may also be large enough to cause visual field loss from pressure on the nerves to the eyes. People with gigantism and acromegaly are two to three times more at risk of premature death than the general population. But life expectancy is restored when the disease is adequately treated. Acromegaly and gigantism are diagnosed with a blood test that measures concentration of GH and another insulin-like growth hormone called IGF-I. It is produced mainly by the liver due to the stimulation of GH. Both conditions can be treated by surgery, radiotherapy or medication. No single treatment is effective in every patient. Surgically removing the tumour is done by approaching the pituitary gland through the nose. Radiotherapy is used where it’s impossible to remove the tumour completely. The radiation kills off the remaining tumour but this occurs slowly and can take up to ten years. The radiation can also harm the neighbouring normal pituitary gland and lead to progressive loss of pituitary function. Medications are used for those for whom surgery has been unsuccessful or not suitable, or as an interim treatment while waiting for radiotherapy to take effect. Drugs called somatostatin analogues (SSAs), such as octreotide, lanreotide and pasireotide, have an established place in the treatment of acromegaly. They work by inhibiting the secretion of GH. Drugs developed for rare diseases are not cheap. The cost of pasireotide, which is dosage-dependent, is up to A$50,000 per year. But as of the beginning of September, the government has listed Signifor on the Pharmaceutical Benefits Scheme. Acromegaly has negative physical and psychological effects, including appearance changes. These are preventable and reversible as long as the condition is diagnosed early and patients have access to effective treatments.